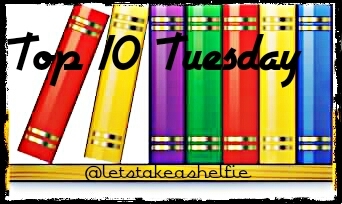 This week's Top Ten Five Tuesday focus on books that I enjoyed reading while I was expecting my first child. Let's be honest, by the time the second came along, I was a pro. (Not really, but I like to pretend). 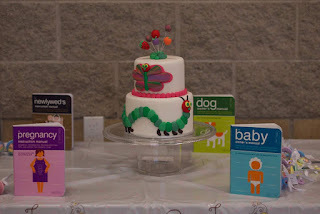 When I was browsing through the vast ocean of parenting books, I found them to be quite serious, not that having a child isn't, but I definitely preferred ones that were fun. It wasn't until after I collected a few titles that I realized a majority of my parenting reading materials were published by Quirk Books - Publishers of all things awesome. 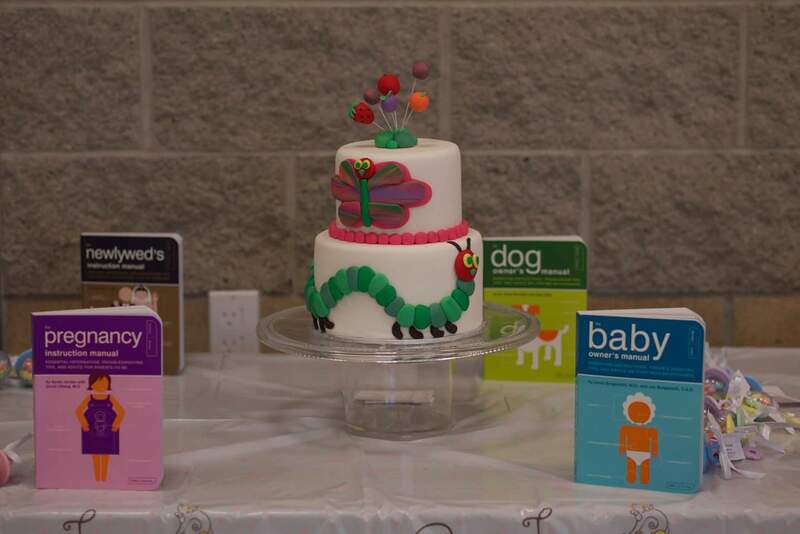 We even used them to decorate the cake table at my baby shower featuring another favourite of mine, The Hungry Caterpillar. 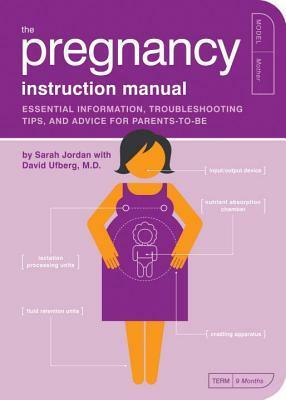 Reading this book made some of my parent-to-be jitters go away. 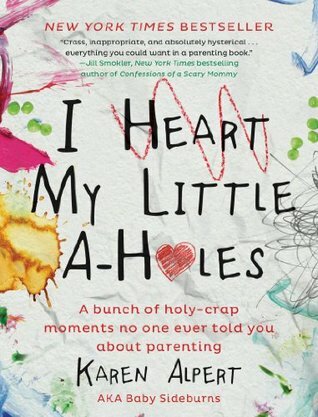 Unlike some of the other parenting books out there, this one didn't scare the living daylights out of you. There was a lot of humour and real life examples. There's even a section for dad's. • Can I ride a rollercoaster in my first trimester? • Is it safe to pump my own gas? • Why is hair growing around my belly button? 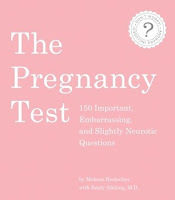 • Can I get pregnant when I’m already pregnant? And as funny as some of these may sound, they go a long way to ease a new mom's mind and make you feel just a bit less crazy. These two books were written very similarly. And like their titles hint at, rather than long winded paragraphs of what to expect, these books are written like user guides. With useful (and funny) tips on how to raise your kids from birth right through the terrible two's. I can't even express how much I adore this book. When I was pregnant with my second child, I wanted a fresh outlook on parenting and really some sense of what it would be like to have two. This book nailed it on the head. 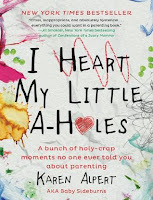 You can check out of review of I Heart My Little A-Holes here. 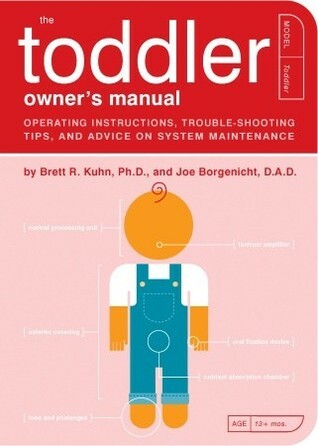 The book is hilarious and comforting. It helps to know that you're not alone. Aw...I sense a theme. Fun! Good topic! Thanks for the list of books on this topic they will make for great reading. Great list!! I love the topic! First, love your blog name. Second, fun take on the topic! I would also add Jenny McCarthy's Belly Laughs. It really is. 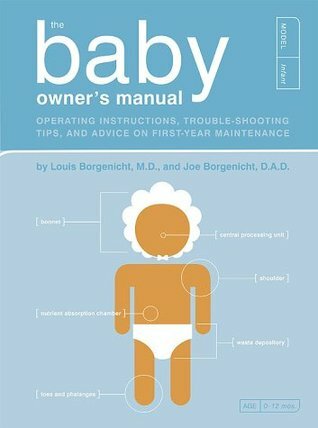 It's my go-to gift for parents expecting their 2nd child. Totally new to me reads since I'm not at this stage of life! Heehee! Thanks for visiting my post! I'm not there yet (by far), but it feels like every time I look on facebook, there's someone else who is in that stage of life. Not I. Nope. But thanks for this list, because now I know what books to buy them! Glad I could help. Thanks for dropping by!